From time to time I enjoy reading comments people post related to internet news stories. Some are juvenile and insulting, but others are intelligent and well-written. Today a story appeared on MSN of yet another fragment of an ancient text that says that Jesus had a wife. Of course, many people immediately hauled out the worn-out canard that another proof that the Church is wrong has surfaced, and that the Church maliciously suppressed these documents because they showed a truth they didn’t want to acknowledge. Historians have always known that these documents existed, but they also have always known that they have no historical credibility. They were not written by people reporting what Jesus truly said and did. Rather, they were deliberately fabricated by groups such as the Gnostics in an attempt to make people believe the vision of Christianity that they desired to see but which Jesus did not in fact create. A married Jesus would suit their needs well, so they created it. The truth is that these documents were not delegated to the dustpans of history because they were ruthlessly suppressed, but because no one took them seriously, and they were simply abandoned as worthless. But that’s not the point of this post. Instead, I wish to comment on what some people wrote in defense of the faith. Numerous people, in a valiant attempt to defend the veracity of the Church, pointed out that the heart of the Gospel is not whether or not Jesus married but his call to love one another. There were numerous posts of this nature: “God just wants us to love one another”, “Love God and love your neighbor”, “Be kind to one another”, etc. All of this is and true and good. But it is not the summation of the Gospel, and therein is where I think we have been weak in defending the faith and perhaps why it is not as popular is it should be. Any high school student playing a sport knows a good coach presses him to be the best he can be. At the time, the kid may not like it very much and may even curse out his coach. But when he wins a tournament or a medal, he is grateful that the coach pushed him even when he felt like he was at his limit, for he knows it was the coach’s belief in his potential and his constantly challenging him to be all he could be that made him succeed. Well, God is no different! Jesus loves us unconditionally and wants us to overcome sin and be strong against the devil. Yes, he tells us how much he loves us, but precisely because he loves us, he is not going to allow us to make excuses as to why we can’t do what he teaches us. He tells us the road will be rocky, but he will help us walk it. I specifically remember debating a young man who was gay who was trying to convince me that Jesus understood his plight and would allow him to have a homosexual relationship. He asked me, “What do you think Jesus would say to someone who told him he was gay?” His assumption was that Jesus would say, “I understand. Go out and love another man.” Instead, I told him I know exactly what Jesus would tell him, “Deny yourself, take up your cross and follow me!” Jesus is not a wimp, and the Gospel is not for wimps. To follow the Lord is a real challenge. Sometimes we forget to challenge people to be better than what the world says they can be. Maybe the fact that we have not presented people with the challenge but with a wimpy Jesus is a big part of the reason people don’t come to church any more. Who wants to worship a wimp? Yes, following the Lord can be hard at times. If people have fallen into a deep pit, and one is able to climb out, what does he do for the others? He tells them that, yes the walls are steep and the climb will be difficult, but that is the only way to get out of the pit. He encourages them every step of the way to follow in his footsteps, as that is the only way to salvation. He doesn’t just sit on the rim and tell them to hold hands and sing Kumbaya! Should a Catholic Vote for Obama or Romney? Priests are often asked by parishioners which candidate in any particular election is the one that they as a Catholic should vote for. This year’s presidential election is no exception. If you’re reading this expecting me to tell you which candidate is the one you should vote for, you’ll be sorely disappointed. Yes, I have my opinion, and those of you who know me well enough should be able to figure out without any difficulty what that opinion is. But that’s not the point of this blog. In this article I wish to lay out principles Catholics should follow so that you can make the decision for yourself for whom you should vote. First of all, let’s start by talking about a common mistake many people make: being enrolled in a particular political party, they automatically decide they will vote for their party’s candidate, and then look for reasons to justify their belief that their party’s platform is consistent with the Catholic faith. This has created some very strange, even ridiculous, tap dances by people and even politicians to try to soothe their conflicted consciences. Instead, we need to remember that our first allegiance is to Christ and His Gospel and not to any political party. (Not being myself enrolled in any one political party, I find a tremendous freedom in this arena!) Our choice should always be based upon which candidate best represents our beliefs. No candidate is probably ever going to score 100% agreement with everything we as Catholics believe. So we must figure out which are the principles we cannot compromise and are not open for debate and which we’d like to see but perhaps are not as significant as the others. In addition, we must consider the overall health of the nation spiritually, morally, and economically. It will of course be necessary to make concessions here and there, and we’ll have to be willing to tolerate a candidate’s position on one matter that we don’t like, simply because the alternative is a candidate whose position is unacceptable on a far greater matter. For example – and this is an extreme example I made up – one candidate may advocate a 50% tax on bubble gum to discourage children from chewing too much of it (which I think we’d all find silly), but his opponent, wishing to address the issue of illegal immigration, wants to station armed guards at the border authorized to shoot and kill on sight anyone trying to enter illegally. Even though I don’t like the bubble gum tax, I’ll take it over radical slaughter! We also have to try and see the big picture and look down the line. Where will the particular policies of one candidate or another take us? If we embrace a certain position, what are the ramifications of that choice down the line? Is it leading us toward or away from our call to holiness in Christ? A healthy society needs to be strong economically, militarily, morally, and physically, but which of these is a priority, and when does one of these concerns outweigh the other? Sometimes that’s not easy to tell and there will be genuine disagreement among even faithful Catholics. That’s where healthy debate takes place. First, we must avoid knee-jerk decisions based on one-line promises and catchy sound bites, voting for a candidate simply because he is of “my party” regardless of how he stands on faith issues, or on nonsensical grounds. (One of my friends once told me she wouldn’t vote for a particular candidate because she didn’t like the look of his face and couldn’t bear to have to look at it on TV for four years – not the best reason to choose a candidate!) Instead, know the issues, the ramifications of them, and where each candidate stands on them. Secondly, put your Catholic faith before party loyalty! There are some issues on which we can never compromise and it would be sinful for us to deliberately support any politician whose views contradict important Church teaching. To vote for a particular candidate who holds those views precisely because he holds them, as Pope Benedict XVI teaches, makes us ineligible to receive Holy Communion. The Holy Father has taught that only for grave reasons could one legitimately vote for a candidate who violates God’s gift of life and the dignity of every human being. Thirdly, each candidate will have policies we like and policies we don’t. We must ask ourselves which of these policies are the most important according to our faith, and which ones may legitimately be sacrificed in order to allow a greater good to be protected. Fourth, consider all elements together and PRAY about your choice before you make your decision, asking the Holy Spirit to guide you in making the right choice. And finally, remember to vote! It is our duty! See you at the polls in November! “I should live to be 100!” How many times have we heard people say that? It appears we believe that those who live to a ripe old age have received a special blessing. I’m not so sure that is true. Those who die old are often neglected and forgotten. 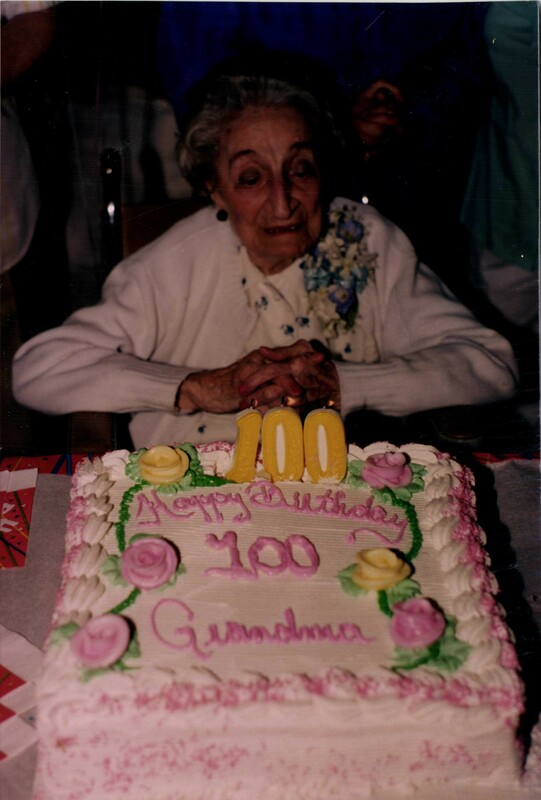 Tomorrow I will celebrate the funeral Mass of a woman who died at 100 years old, and I just came back from the wake. Now, usually wakes are crowded places where the mourners are overwhelmed by people coming to pay their respect to the dead and to comfort the family. That’s terrific! That’s just what a wake is for! In addition to flowers and condolences, there is usually a pile of Mass cards from friends and acquaintances. Well, at this wake, there were only eleven people present – all members of the woman’s immediate family. This is by no means an exception; in fact, I would say it is the norm. All these people no doubt have friends and acquaintances that would be there if the person lost someone at a tender young age. So where were they? Why do we not attend the wakes of the very old? I think that somehow we decide that, since the person was very old, the family will be dealing with it better than if the person died young. To a certain extent this is true, and I certainly admit that, when a funeral is called in to the rectory and we hear the person was 100, that’s a lot easier to bear than if the person was 26. But that 100-year-old woman is still someone’s mother, someone’s grandmother, someone dear to them, and even if their grief is not as poignant as one mourning a child, they still have lost someone dear to them and can use our comfort. Even if we only stay at the wake for a few minutes, and even if we only can think to say “I’m so sorry for your loss,” that alone is so helpful to them. Our presence is reassuring that we care for them. And most importantly, as Catholics, the most important thing we do when someone has died is offer the Holy Sacrifice of the Mass for the repose of his soul, and people need prayers for their soul whether they die at 100 or at 20. So whenever you hear someone has lost a loved one, attend the wake, send a Mass card, make a phone call. The family will be grateful for your thoughtfuness and concern and might even need it, even if the person lived to be 100 years old. With all the different religions out there, why should I choose to be Catholic? Years ago, I remember reading an article someone had written in the local newspaper to the effect that she was Catholic and her sister had become a Jehovah’s Witness. She mentioned how she struggled with her sister’s decision until she eventually reached the conclusion, “To each his own!” She said that being a Catholic worked for her, and if being a Jehovah’s Witness worked for her sister, then that’s great! Her ultimate conclusion was that everyone should find whatever religion he likes and stick with it, as they’re all fine. I disagree. Religion is not a country club. Religion is our response to the revelation of God. We worship God according to the truth we believe he reveals about himself. Virtually every society on the face of the earth has come to believe in the existence of God. Many people have shown how belief in God can be deduced logically, and many of these arguments are quite compelling. But while we can logically deduce his existence, there is wide disagreement on what he is like. Ancient civilizations believed in many gods, and most of these were angry gods that needed to be appeased with sacrifices, incense, throwing virgins into volcanoes, even child sacrifice! If we came across such religions today, I don’t think any of us would merely say, “To each his own!” No, we’d be horrified! In time we’ve come to realize that certain religions are not true and have rejected them. But there are many others still widely practiced across the globe whose adherents will die for their belief that this is the truth. The beliefs of different religions sometimes contradict each other, thus they cannot both be true. For example, Hinduism believes in several gods, while Judaism, Christianity, and Islam believe in only one. Logic tells us that Judaism’s claim that God has said, “I am God, and there is no other” prohibits the possibility that we could reconcile Hinduism with Judaism. At most only one of them is revealing the truth about God, but not both. So why be Catholic? I can best respond to that question by relating my own process of reasoning which led me to believe that the fullness of truth subsists in the Catholic Church. When I was in the 7th grade, I was automatically launched on the program of preparation in my Catholic grammar school which would get me ready for the Sacrament of Confirmation. I was told about the “big decision” I was making to choose Christ and his Catholic Church. Being the person I was, I could never consent to anything without asking myself if I agreed with it. I therefore launched myself on an exhaustive soul-searching enterprise to see if this is in fact what I believed. Since we are talking about religion and not science, I knew I had to start somewhere with a leap of faith. I certainly believed in the existence of God. I took the leap of faith to believe in the God of Israel. To me that made sense. With that as a foundation, I asked myself, “Okay, Judaism or Christianity?” I discovered that the crux in the whole question here was the person of Jesus. Israel had been longing for a messiah, and Jesus ultimately claimed to be that messiah. If he was truly the messiah, then Christianity was true; if he was a false prophet, I would be duty bound to become Jewish. It seemed obvious to me that the belief in the resurrection of Jesus from the dead was the key issue: did he or didn’t he rise? If he did, I felt he had proven himself to be truly what he said he was. If he did not rise, he was a fake. So could anyone prove he had risen from the dead? It seemed strange to me at first that the accounts of the resurrection claimed that Jesus only appeared to his followers and not to Pontius Pilate, the Sanhedrin, Caiaphas, or King Herod. But then I realized that these unschooled men went out and boldly proclaimed to the very people they had previously been afraid of that they had seen Jesus risen on numerous occasions. They couldn’t have all been mistaken or have hallucinated. No, they firmly believed they’d seen Jesus risen, and they went to foreign countries preaching his name and died horrible deaths defending it. I couldn’t conceive of eleven of the twelve apostles willingly dying for something they knew they’d made up or if they couldn’t be sure they hadn’t hallucinated. No, they were crucified, boiled alive, sawed in half and skinned alive convinced they’d seen Jesus risen. That to me was proof! They wouldn’t have suffered so terribly for something they knew was a lie! So I realized I beleived in Christ. That also valdiated my leap of faith in the God of Israel. If Jesus rose from the dead, and he was the fulfillment of the promise to Israel, then the God who made the promise was real! Okay, so I was a Christian, but how about Catholic? Many verses of scripture convinced me that Jesus gave the apostles his authority and sent them as his witnesses, and that we had to remain one with them and the tradition they handed down. That tradition is what Ignatius of Antioch first called “The Catholic Church” around the year 107 AD. I knew that, since Jesus had given his authority to them, only he could take it away. Even though there were periods in history when everything wasn’t rosy, when some of the popes and priests were not giving the greatest of example, even sinning terribly, that still didn’t take away the authority that Jesus gave them. I thought of it this way: suppose a President of the United States committed a serious crime and had to be removed from office, maybe even sent to prison for his crime. He was an embarrassment to his Office, no doubt. But what do we do now? We get a new president! No one would say that the Constitution of the United States was rendered null and void by the sins of the president. Similarly, even if some popes had sinned and were a disgrace, that still did not remove the authority Jesus gave to St. Peter. 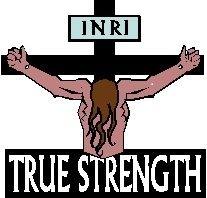 In order for the Catholic Church to lose her authority to speak in Jesus’ name, Jesus himself would have to return to earth and formally remove it and give it to another. He never did that with Martin Luther, John Calvin, Henry VIII, Zwingli, or any other reformer, and none of them ever claimed he did! I therefore concluded that the Catholic Church still possesses the authority to teach in the name of Christ and not any of the other denominations of Christianity, that those who separated from the Catholic Church were not in full Communion with Christ, and I was therefore duty-bound to embrace the Catholic faith. 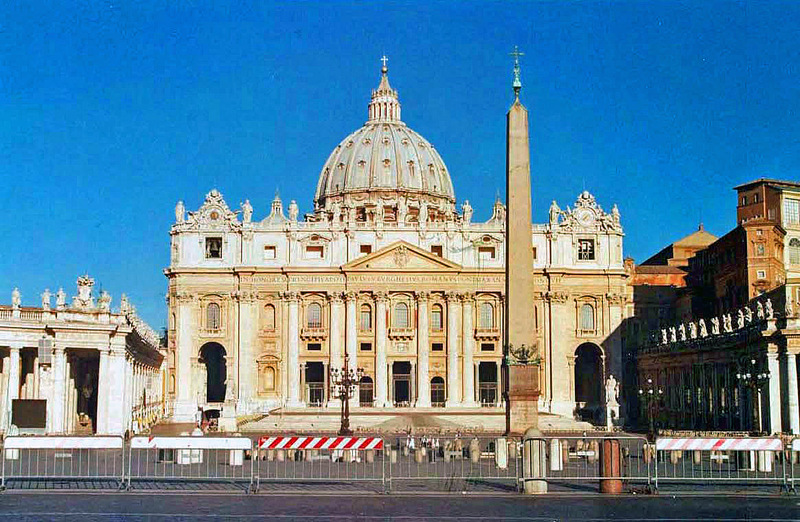 On October 16, 1976 at 11 AM, I did so at my Confirmation and have not looked back since.